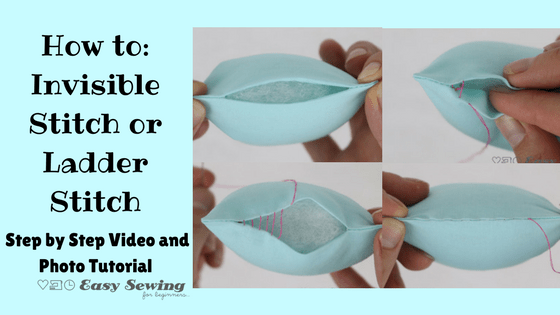 How to do a ladder stitch (also know as a hidden stitch or invisible stitch video and photo tutorial! The ladder stitch or invisible stitch is one of those hand sewing stitches that is invaluable when mending holes in toys and sewing up the last little opening on newly sewn softies or even mending holes in clothing when you can’t sew from the inside of the garment (I have this tutorial for mending rips and holes in clothes as well if you have holes in your clothing). You’ll barely be able to see this stitch from the outside of what you’re sewing, especially if you use a matching thread colour. It’s just great! 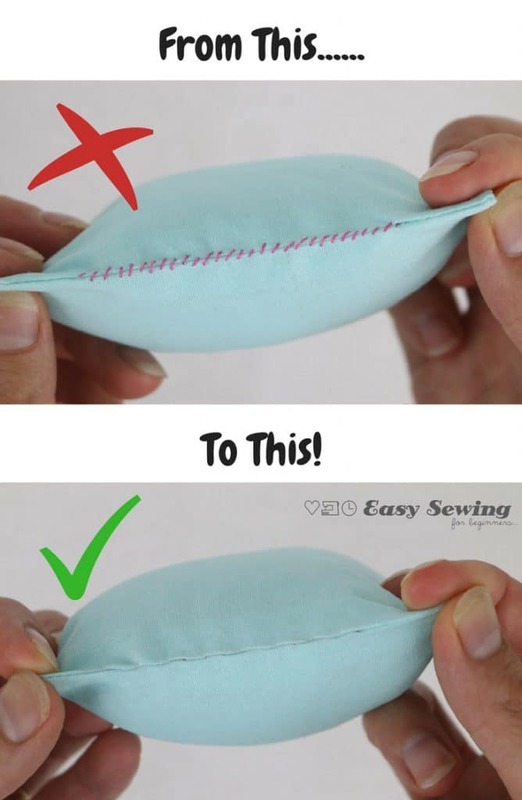 I cringe when I think of those first sewing projects where I used a whip stitch to sew up the opening! I made many fabric books for baby presents and the openings of the pages were all sewn up with a whipstitch! Ahhh! If you want to know what I’m talking about I’ll add a photo below showing you the difference of an opening sewn up with a whipstitch compared to a ladder stitch. 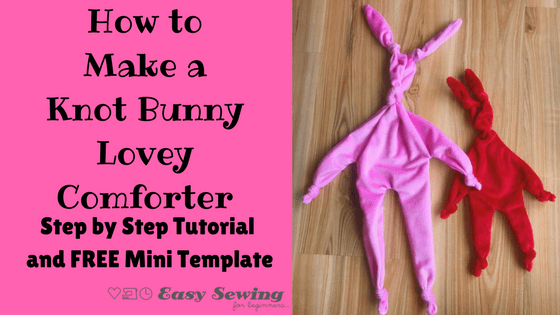 Here’s my recent tutorial where I used a ladder stitch to sew up the opening – A knot Bunny Lovey with FREE mini template. I’m left handed so the photos will show the me working from left to right, but the it’s the same idea for a right hander, just flip it ? Thread your needle with the matching coloured thread ( I’m using a contrasting thread so you can see what I’m doing easily). I like to double the thread over and tie a knot at the end. 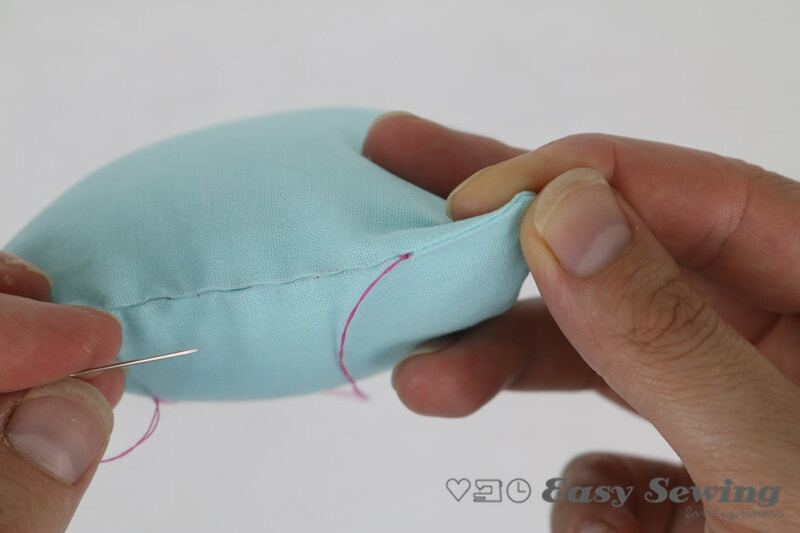 secure the thread to the inside seam at the end of opening. This will hide the knot away nicely. 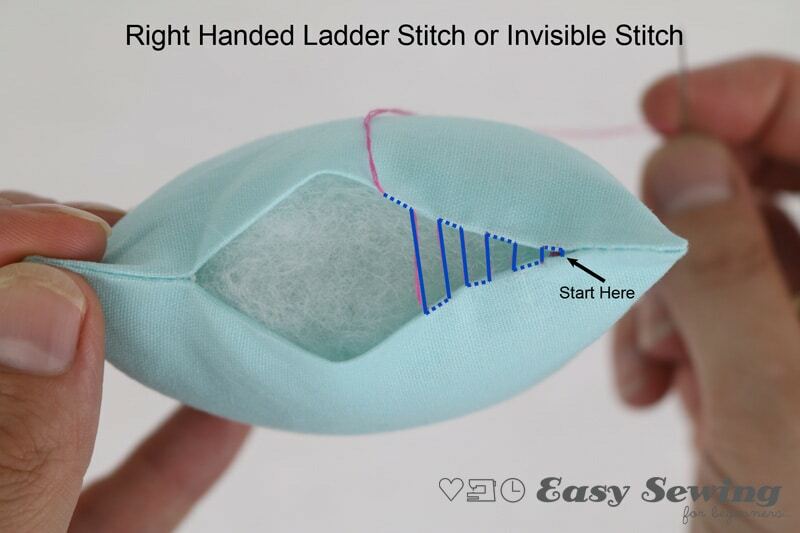 Start the ladder stitch by putting the needle through the seam about 1/8”-1/4” (3mm-5mm), ensuring you only go through one layer of fabric. 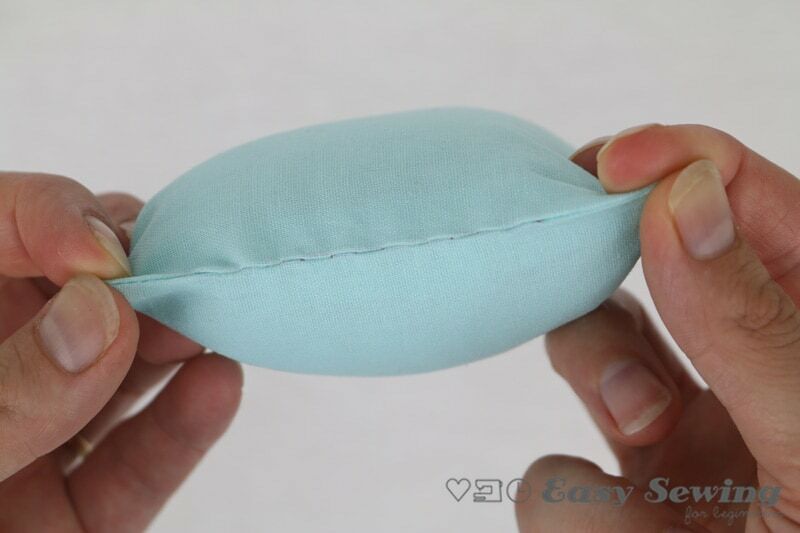 The seam allowance should be the same as you have allowed for the rest of your sewing project. repeat step 2 on the other side of the opening directly across from where the thread has come out of the first side of the opening. 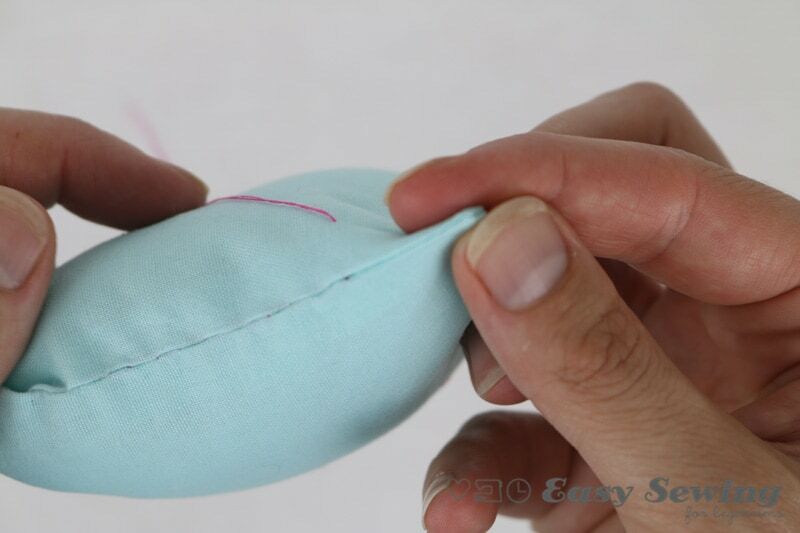 The thread should be perpendicular to the seam. 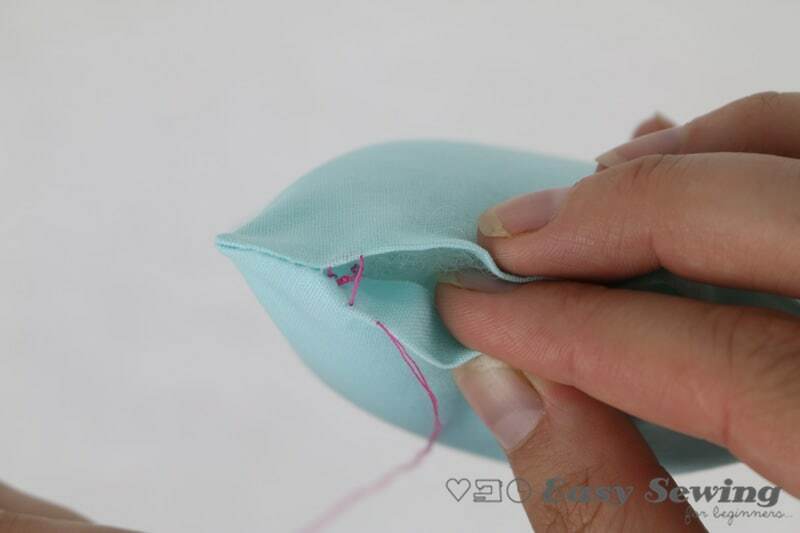 Repeat steps 2 and 3 until you reach the end of the opening, pulling the thread gently as you go to gradually close the opening up. I’ve done a few stitches before pulling the sides together gently just to show you what the ladder stitch looks like. You can pull the opening closed with each stitch you do. 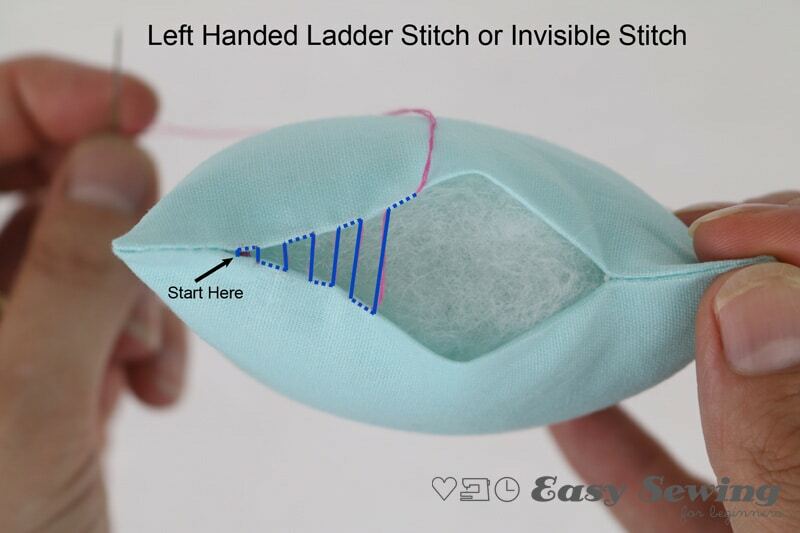 So here’s a diagram of how the ladder stitch goes for left handers and right handers! 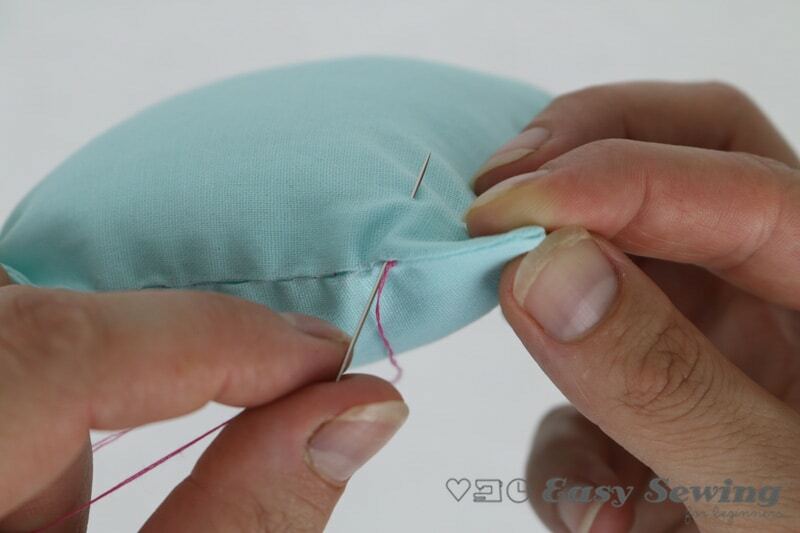 Once you have reached the end of the opening secure the thread by stitching through one of the existing stitches in the seam or by stitching a secure stitch on the fabric in the seam. Push the needle down through the seam and out the side of the fabric. Try to work the secure knot down to hide it away in the seam. Snip the end of the thread so hide the tails away inside your project. This is what your ladder stitched opening will look like when you’re done! You can just see my contrasting thread in the photo above, but if I used a matching thread you wouldn’t be able to see it at all! I used the ladder stitch to sew up the opening for the sock monkey body and also to sew on the arms, mouth and tail. 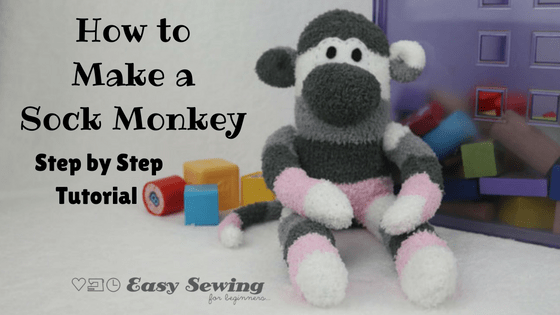 You’ll love the tutorial for how to make a sock monkey and you’ll be a pro at the ladder stitch for it now too! I hope this tutorial has been super useful for you! It’s one that I’ve been meaning to make and share with you all for so long. If you found this step by step tutorial useful and you would like a way to say thanks and also have a convenient PDF copy of this How To then you can purchase the THANK YOU Edition for the ESFBs Shop ?. This enables me to keep adding helpful tutorials here (and now the ads you see throughout this tutorial do too). sorry, I don’t understand your comment. I think what the visitor meant was that the video does not load. I experienced that too. Do you have a YouTube channel where the video resides? Ah thank you for the clarification. There is a link to the YouTube video just below where the video should be if it doesn’t load. My apologies! If it continues to be an issue I’ll Switch to the YouTube video on my website instead. You’re welcome. Glad to help! Oh thanks, Pam! That’s great news ? Thank you! I’m glad you found it useful ? 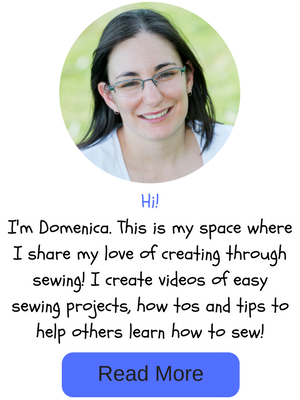 Awesome tutorial, Domenica! Your pictures show the process very well! Thank you for submitting to DIY Crush! I just published it. I was wondering if it’s possible to use ladder stitch on an entire project? Not just closing a seam. 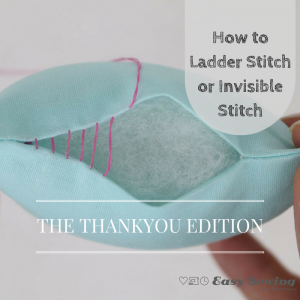 If you’re hand stitching you would be better off doing a backstitch along the seam on the inside, then turn your project right side out and use the ladder stitch at the end to close up the opening.